This gem of a home has been meticulously updated and maintained and offers vaulted ceilings, open spaces and expansive windows throughout. The large, open kitchen adjoins both the spacious living area and inviting dining room and hardwood floors and updates throughout create a warm and relaxing ambience. 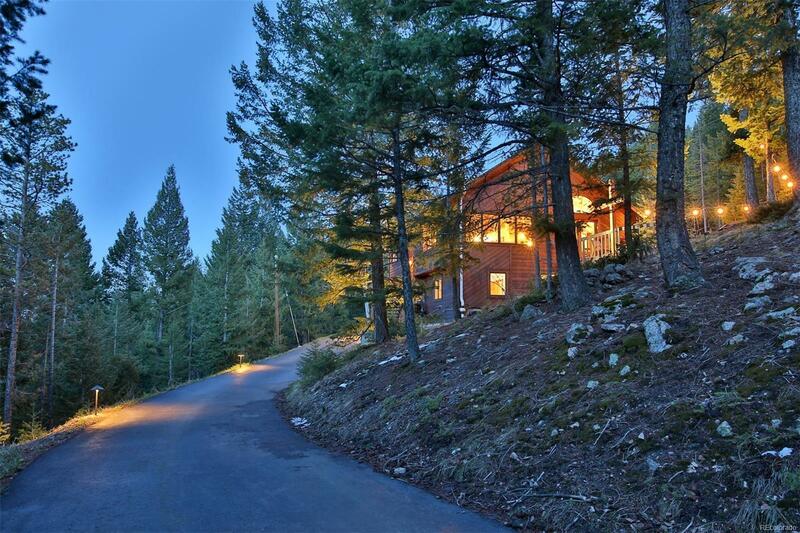 Nestled on nearly 2 acres with exceptional outdoor living areas and surrounded by mature trees with easy access to open space and trails, the property provides all the privacy and beauty one would expect from Colorado living. Updates over the last year include a new high efficiency boiler, roof, leach field, interior lighting, outlets and switches, interior paint, GE Profile cooktop, Quiet Cool whole house fan, LG full-size stackable washer/dryer, landscape lighting and flagstone, updated bathrooms, refinished hardwood floors and much more.